Given that we’ve seen an avalanche of historic headlines over the past week or so (examples here, here, here, and here), you might not have heard about a slew of interesting developments in outer space. For example, you may recall that the world was ecstatic when the Philae lander bounced onto the surface of Comet 67P last November, but that enthusiasm was dampened when Philae‘s reserve batteries drained and scientists lost contact with the lander (original write-up here). Well, now comes news that Philae has apparently woken up from its seven-month slumber and is again transmitting data back to Earth via the Rosetta spacecraft that remains in orbit around the comet. Service has been spotty so far, but ESA is confident that the lander is now drawing power from its solar panels and that it is again prepared to conduct a number of interesting experiments. For all the latest, check out the links here and here. Meanwhile, it’s also worth noting that NASA’s Dawn spacecraft, which entered orbit around Ceres last March, is now sending back incredibly detailed images of the solar system’s largest asteroid. Despite the images’ unprecedented clarity, however, scientists are still at a loss to explain those really bright white spots on the asteroid’s surface. 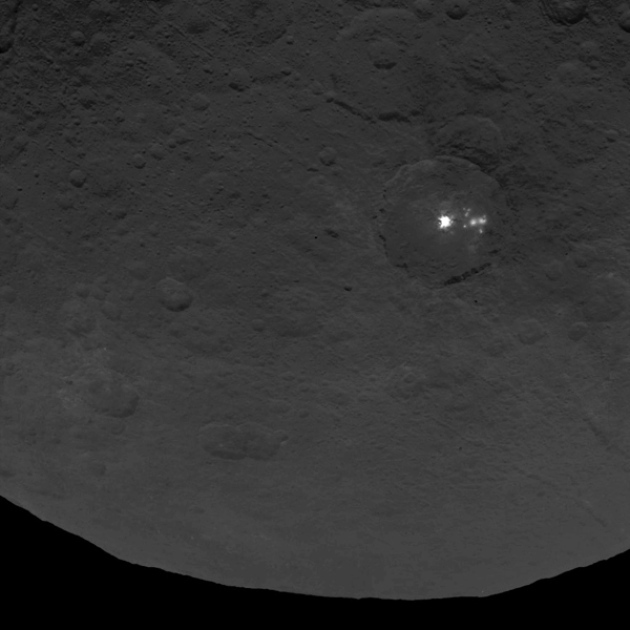 For the latest on the Ceres mission, check out this link. And last but not least, NASA’s decade-long New Horizons mission will finally reach Pluto two weeks from today. This will be the first time that humans (or, more accurately, our reconnaissance robots) have ever gotten an up-close look at the distant planet dwarf-planet. For more info, check out the links here, here, and here. You may also want to watch the video below (or at this link), which does a nice job placing the New Horizons mission in historical context and stoking the imagination.